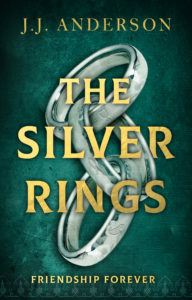 The Silver Rings, Book II in the Al Andalus stories, is available today on-line and in certain book stores. You can find paperback and Kindle options on Amazon or other ‘e’ formats ( epub, mobi ) on Smashwords and in ‘e’ stores like Apple, Kobo, Barnes & Noble, Baker & Taylor, Scribd and Inktera (formerly Page Foundry). At 360 pages plus it’s a snip at £8.99 for the paperback and £2.99 for the ‘e’ book. I’ll be tweeting about it and messaging on Facebook, so retweets and shares gratefully accepted. Copy them to your local library and bookshop! You can also read about the book and its setting on Trip Fiction. It is with great affection and some sadness that I say goodbye to Nathan, Atta, Ben, Rebecca and Miguel who have done some growing up in my company since I began the story which was to become Reconquista all those years ago. They are launched into the world now, their tale complete, not dangling unfinished as was the case at the end of the first book. I hope they find space on many a bookshelf and friendly readers who cherish them ( and are prepared to write reviews to that effect, please ). Their descendants may appear in print at some future occasion, in the third Al Andalus book On the Edge of the World, set two hundred and fifty years later, during the Age of Discovery at the time of the Inquisition. That is already in draft and I so hate to waste work…. but right now I will be taking a break from writing about that part of the world to focus on the contemporary. As I say in the Acknowledgements section, I owe thanks to Roz Morris my editor and to my friends and trusty early readers Annette Souter and Myfanwy Garth. Huge thanks too, to Angustias Salgado Galan, my friend and neighbour in Jerez, with whom I discovered the Sierra de Grazalema (and was able to write about it, see Journey Through the Pinsapar, Benamahoma to El Bosque ). 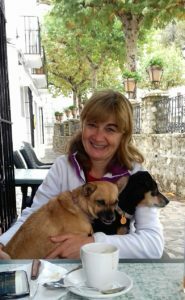 The dogs, Wendy, Pizqui and Relampago had a wonderful time as we walked the streets of these lovely mountain towns and filled our rucksacks with delicious local produce (see Country Food ). Thanks too to my long-suffering husband, who reads it all and gets on with life while I’m far away in a different time and place. 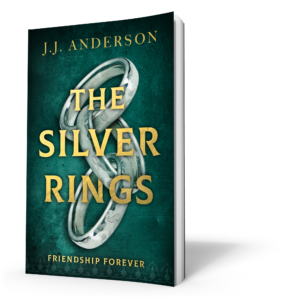 Thanks to the readers of this blog who have journeyed with me through research and reading and thinking about what The Silver Rings was going to be and the many posts which appeared over the last two years. This book and its predecessor are both very ‘British’ stories, even if set in 13th century Al Andalus, as they are rooted in my own childhood reading of the adventure stories of Robert Louis Stevenson and those of writers like John Buchan and Erskine Childers. So it’s adios to Al Andalus for the moment and hello to present day London, a city built upon earlier versions of itself and one where individuals strive for power as they have always done. If you would like to read more about the Al Andalus books try The Godmother’s Tale Authenticity and verisimilitude Provender The Wrong Saint? This entry was posted in Books, Publications and tagged Books, Writing & publishing by juliej. Bookmark the permalink.